FXtender is the perfect companion for JobRoller. 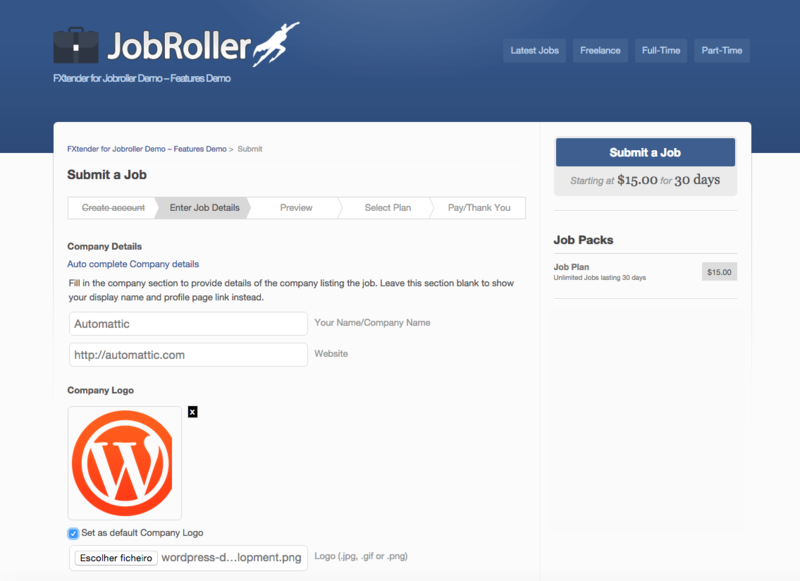 It instantly adds several new features, options and widgets to any JobRoller website. 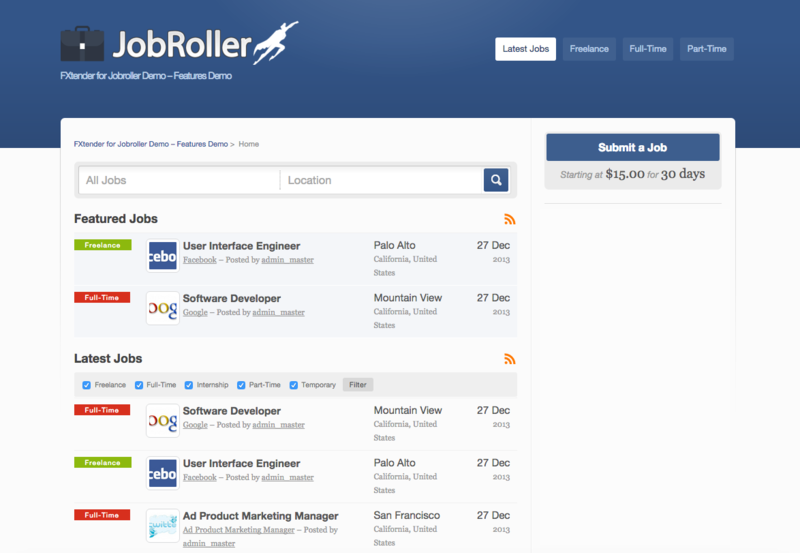 Combine the best job theme on the market, mix it with FXtender, and get the most feature rich job site your money can buy. Notes: If you find any issue or incompatibility, please post it on the forum, before writing a bad review. No issue is left unanswered. FXtender is 100% compatible with TinyGiantStudios child themes. Currently, FXtender Pro cannot be “network activated”. Please install it directly on each of the destination sites. Are there any language packs available for FXtender Pro? Currently there are lanugage packs for: German, French and Portuguese. Available for download here. A new Sub-Menu named ‘FXtender’ will be available under the JobRoller menu. Just activate the features you want under the new created sub-menu panel. Notice: the called constructor method for WP_Widget is deprecated since version 4.3.0! Cron job getting stuck on updates check – always checking. Should also fix some issues related with caching plugins. Props for @marcelopedra! 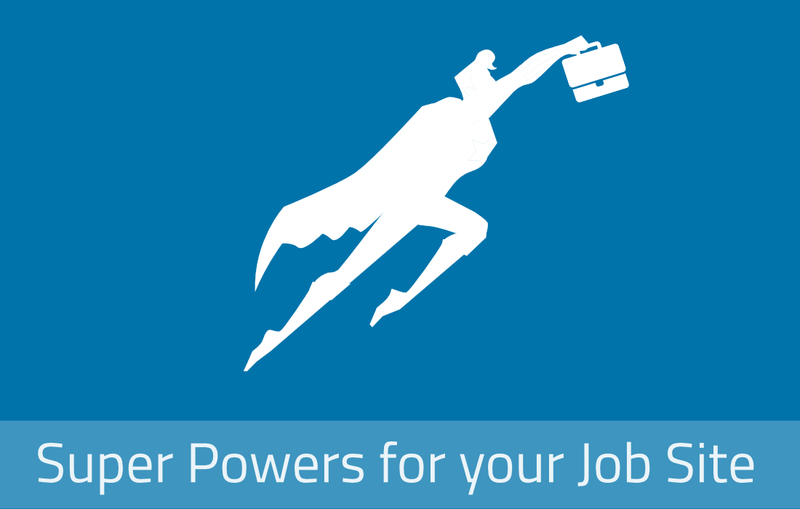 We are using Sebet’s plugin and it really has extended Jobroller’s functionality. Sebet is fast to respons to user queries too. 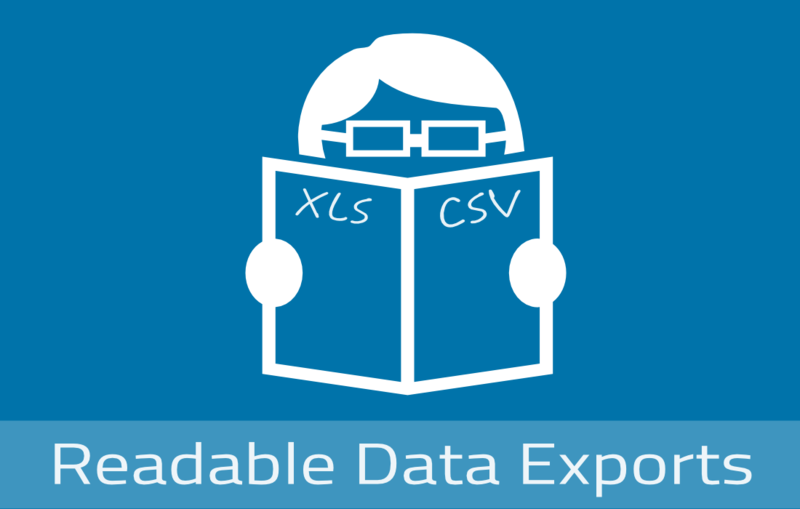 And the new export update should be a Godsend for all those squeamish about MySQL queries. 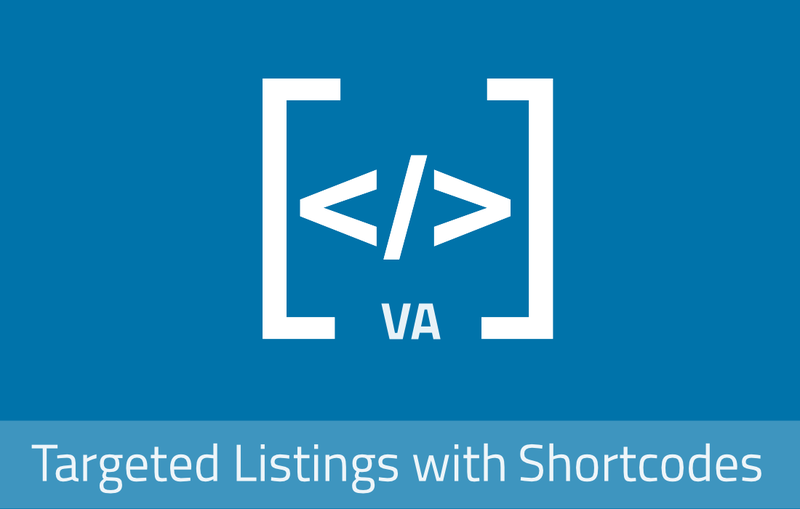 Very extensive plugin – adds a LOT of very useful tools! Received fantastic support when needed. Very extensive plugin – adds a LOT of very useful tools! From the very first release, the developer (sebet) has been very responsive to requests even beyond the default setup and configuration. He was always quick to reply and even now with greater core responsibilities, he continues to enhance this product and delivers excellent support. As FXtender Pro continues to evolve it has proven to be an invaluable tool that has greatly enhanced the overall functionality, feature set and success of the JR theme. I am very much surprised by the negativity of most of these reviews. I have known and worked with sebet both on his own site and here, and I am using his plugin FYtender from the time back, when it was only available from him. I have never experienced a problem that has not been resolved by him within a very short time. Only recently, when I reported a problem, it has been solved within an hour from the time that he got involved. FXtender as an add-on to JobRoller has always been bringing the features that we diid not get in the “parent” product – at to some extent this is still the case. Besides this, to the best of my knowledgge, sebet is the only guy whom Appthemes has eventually taken on board to assist them with the development of JobRoller – so I understand that updates to FXtender do no longer come as often, because they go directly into JR.
Bear in mind, especially with FXtender, that his is a one man show. So I think that it is only natural that he is not available 24/7, and sometimes goes AWOL for a number of days. This has been so in the past and this is absolutely OK. What do yoou think you got for $39, a monopoly on his life? Take a look around, how prompt and how professionally are you helped in these forums? In my experience, he is one of a very few here, who take their responsibility seriously and who always tries to help – and mostly is able to do so. Lets just say, I hesitated awhile cause the reviews sucked. But, out of sheer desperation purchased as I need the resume uploader. DONT WASTE YOUR MONEY!! Perhaps if support got hold of me regarding this issue and NOT wait 2 days, maybe I would give it a better review but its honestly hard. No reason I should wait 2 days for anything after I purchase their sucky product. Working towards a fix or refund. Depends how quickly I get any answer, I see myself moving ALL my sites to Job Board. I shouldnt have to wait for 2 days for support. Less than what I expected, not worth its price. Honestly this is not a good piece of software. Not value for money at all. Nothing but regrets ever since I bought it. One conflict with a theme you are using then it makes your site look like crap. To make matters worse, no matter how much you screem for help, the vendors of this plugin just dont give a damn! As soon as they get your money you are on your own. They will never respond to any of your communications. By the way there is nothing you can get fr9m this plugin that is not already available in a other child themes such as simplux. And simplux is a high quality chikd theme – very stable and the vendors are very supportive. Just the other day a simplux vendor debugged my website and fixed a problem that was related ti this FXtender while the vendors of FXtender were nowhere to be found. So, yah…you make your own call. But I would never recommend this plugin to anyone. You are better off donating your money ti charity. I gave it a 1 star and honestly I feel I’ve been very generous. @rsavoia, I’ve sent you a PM. Thanks, Bruno. The issue is now resolved. I just purchased Go Fetch Jobs and will integrate it into the site as well. I really appreciate it! i want to buy this plugin ,are all the previous issues regarding it have been fixed??? @kei0909, issues reported so far have been addressed. If you find any new issues you can use the dedicated support forum to report them. @aj2703, apologies for the late reply. Somehow, I missed this comment. Actually, if I correctly understood what you are asking, this should already be possible by enabling ‘Profile Resumes’, ‘Attached Resume Uploads’ and setting the number of file uploads in ‘Max. Number Profile Resumes’ to any number. 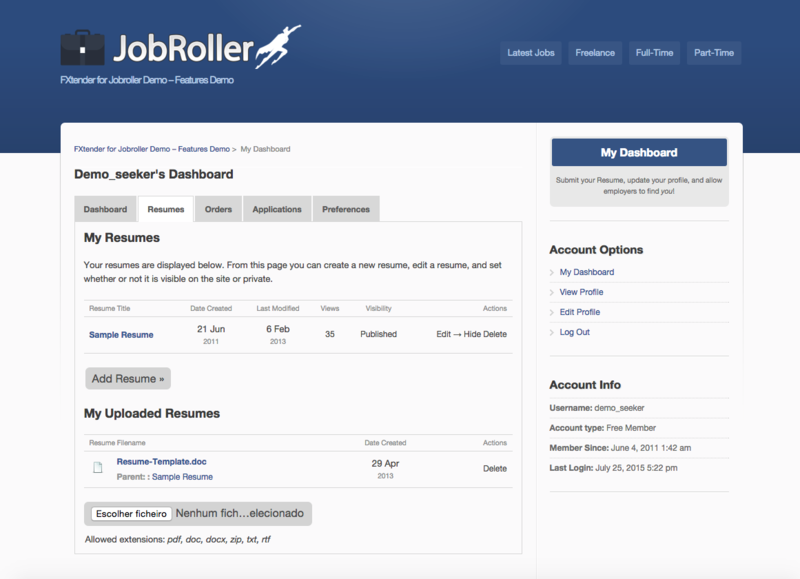 This should allow any job seeker to upload multiple files to any online resumes they have. These files are then available to download when viewing the respective online resume. Note though, that this feature currently doesn’t seem to be working correctly. The file upload limit is currently being ignored (currently accepts only 1 CV per online resume ). If this is what you need please send me a PM and I’ll send you a piece of PHP code that corrects this issue. Anyway, I’ll be correcting this on the next version. It’s for the job LISTER. 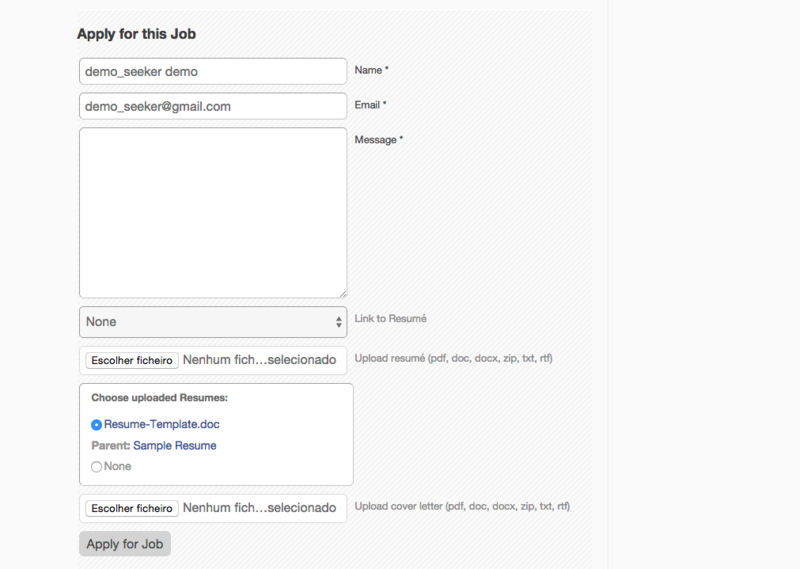 An option for the Job Lister to upload a .doc or a.pdf file that contains the job description in more depth or to upload an application form or even both. You can see the Job LISTER has upload two extra files. A job Application form that is downloadable in word and underneath a pdf of the job description that has a greater detail of the requirements of the job. This saves a lot of time for the job lister as it means they do not have to keep typing the same details up if they advertise the same position often during the year. An example would be a supermarket would want to hire extra staff at Christmas for a couple of weeks why it is busy, then after Christmas has finished those staff would stop working there. Then say at Easter they may want to hire staff again as it is another busy period and so on. 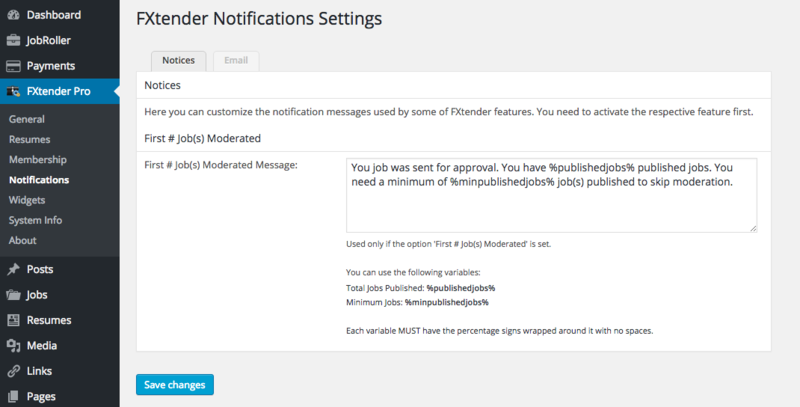 The option to upload files for the Job Lister would save them time and make the process much easier. I would like to know if the FXtender Pro has the option to sell resumes one-by-one. 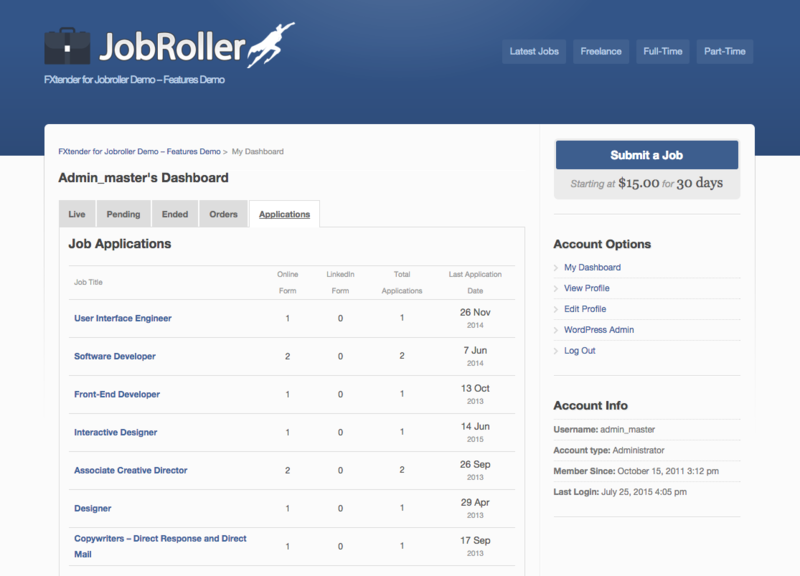 For the moment I only have the possibility to give access to all resumes for a subscription period. In the future I want to sell promotional packs as well that includes a number of resumes for a specific price. 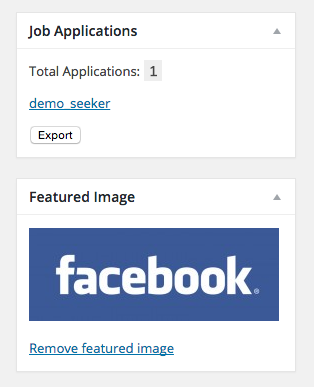 If you use Job Packs, you can use the FXtender Pro option ‘Resume Views Limit’. 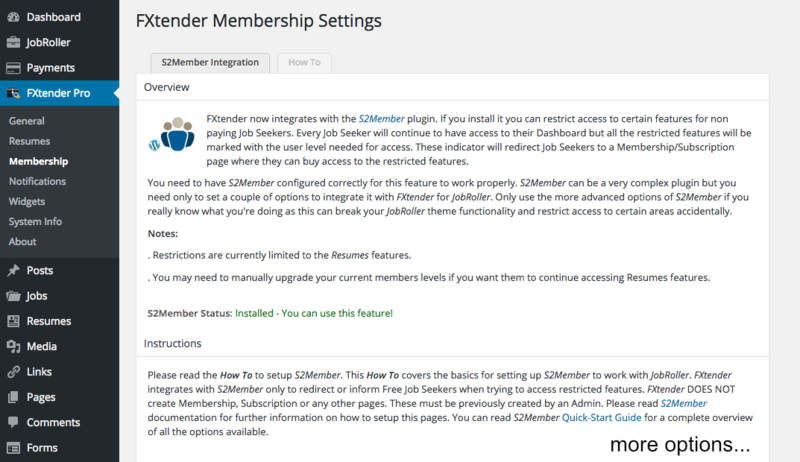 If you enable this option, a new meta box will be displayed on your job packs allowing you to set the max number of resumes a job lister can view. You can sell a job pack with a ‘Resume View’ limit of 1. 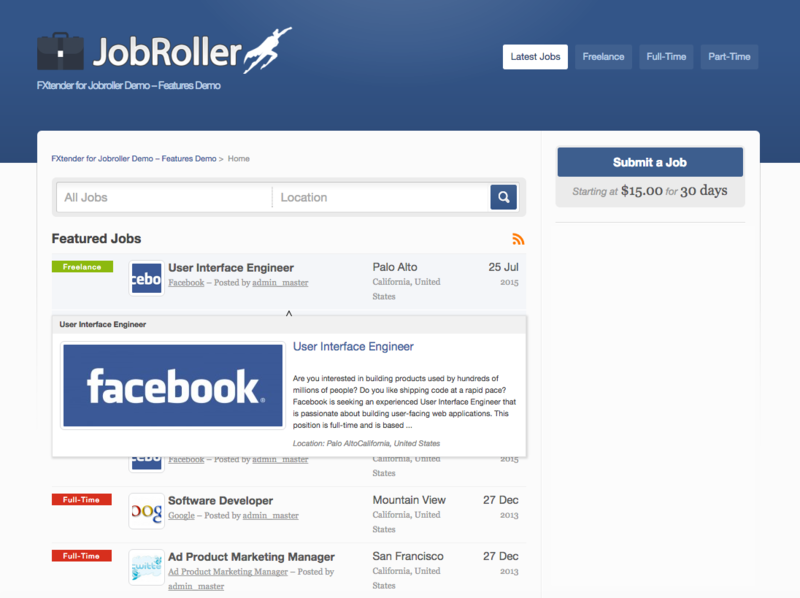 That way, a job lister will only be able to view one resume. This plugin is total useless, waste of money, should be taken down. First, resume plan need a resume view limit by number but this guy put that in job plan add-on -,not in resume plan -which is totally useless.May he do not understand the nature of jobsite business at all. He should maintain his reputation by refunding money to unsatisfied customer (credit ,or make better updated version) instead keeping money & ruin his reputation . @alexkim, If you are not satisfied with the plugin or you think a certain feature should work differently why didn’t you just contacted me through the forums? I don’t seen any post from you in the forum regarding this. Suggestions are always welcome and every plugin has room for improvement. I’ve been improving the plugin since 2012, the date of it’s release, and it’s still very much popular because users have helped me improving it, with their feedback and suggestions and they keep giving me their support. 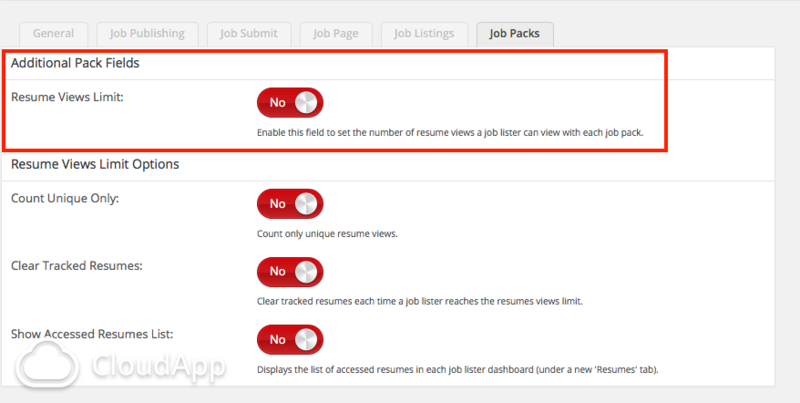 As for that feature in particular, that was actually a suggestion from users what wanted to have a resume view limit, specifically under job packs, so job seekers could view a limited number of jobs without a resume plan. 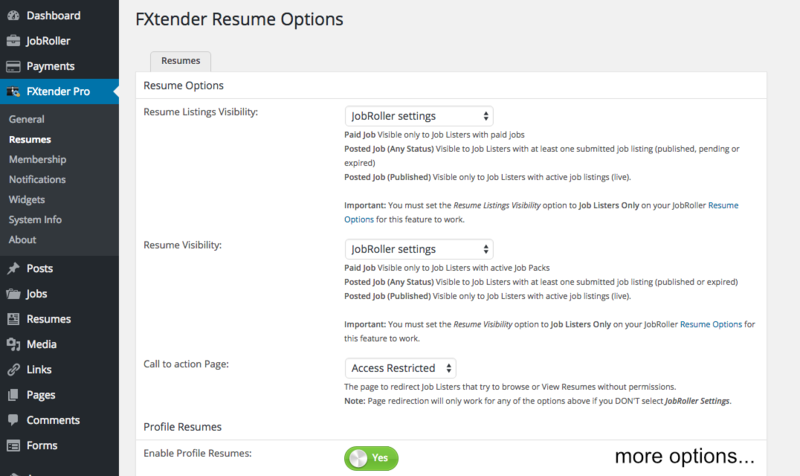 That’s why that option is clearly listed under FXtender’s ‘Job Pack’ options. I understand that the way the feature works might not work in for you in particular but that’s the nature of plugins. If you think this feature should work in a different way please post your suggestions. As I’ve said before, suggestions are welcome and you are welcome to post them on the dedicated forum thread (http://forums.appthemes.com/fxtender-pro/suggestions-new-features-50388/). Note: I don’t work on the job business. I’m a web developer that has some inside knowledge and through the years have been learning what can help users with their job businesses, mainly through the feedback of many experts in that area. Is the Apply with Linked in working? I can’t seem to be able to make it visible or see the settings for it anymore? can you upload latest version on http://bruno-carreco.com/wpuno/fxtender_jr/member/ ? @ johnjohnjohn, I’ve now updated the members site with FX 1.4.6.1. Thanks for the heads up. Not sure why JR 1.8.5 does not work on your install. You can see the latest WP, JR and FX running in the demo site. there is this message : 404: Sorry, file not found. Please contact Support for assistance. @johnjohnjohn, please try again. Broken link should now be fixed. @aj2703, most of themes authored by Spartac are compatible with FXtender Pro but I would suggest you to contact him to confirm if Jobby is also compatible. @ empregocertomg, I’ve replied to your post in the forum: http://forums.appthemes.com/fxtender-pro/problem-translation-95222/#post401347. Have you read my reply? Please reply in the support forum for any further help that you need. @teflwarehouse, sorry but I didn’t understood your question? Can you explain what kind of integration you are looking for? I wanted to try out the lite version first, but unfortunately I get a 404 error. Also it cant be found in the WordPress repository. Not sure where you got that download link but that’s not correct. You can download the Lite version from here: http://www.bruno-carreco.com//wpuno/fxtender_jr/wp-content/files/fxtender-lite-jobroller.zip. It stopped working a few months ago on most of the feeds. There was an update but my subscription for it was expired and I decided to wait and renew it after I moved my site to another host. I moved my site to a new host a couple of weeks ago and had to re-install some of the plugins. I just renewed this plugin and updated it with the latest version and it doesn’t work. It times out while doing an import and doesn’t import any jobs on any of my existing import templates. 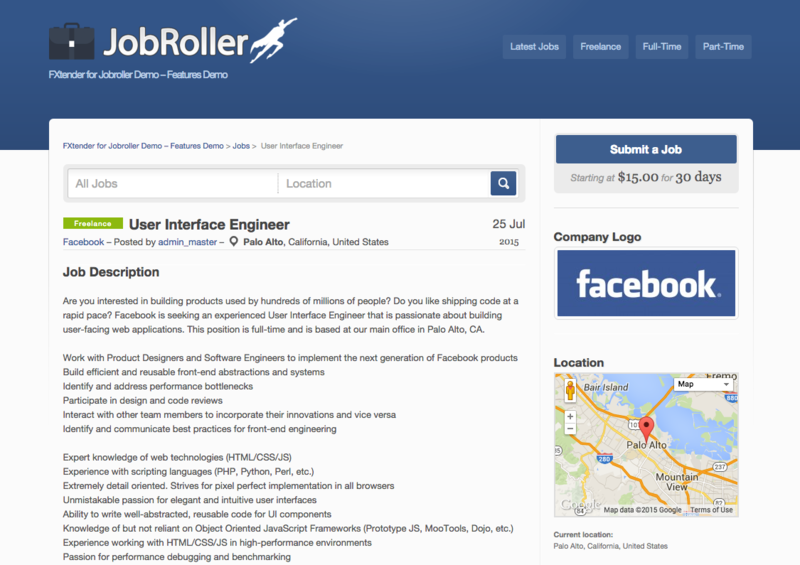 I am using JobRoller with Flatroller child theme. It was working before. The last time it successfully imported anything was with version 2.2.2. I just deleted version 2.3, re-installed v2.2 and it works – barely. I also noticed a lot of these job feeds are no good anymore. 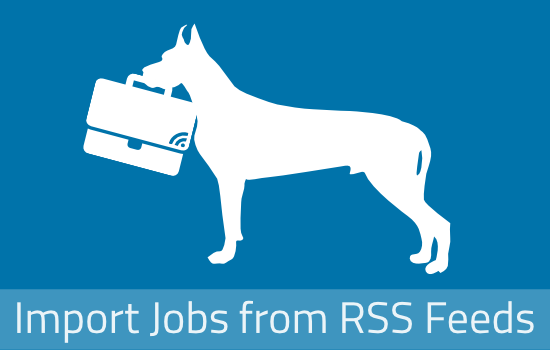 It seems most all of these big job boards are not allowing their RSS feeds to be used in this way and prefer web sites to use their proprietary widgets or APIs instead. It seems to me the days of apps like Go Fetch Jobs are numbered. Am I missing something here? @ rsavoia, you are on the wrong plugin page and please post support related questions on the dedicated support forum: http://forums.appthemes.com/go-fetch-jobs/. Sorry Bruno, I had tabs for both plug-ins open in my browser and realized my error after I posted it but was unable to find an option to delete it. Please feel free to remove it. I apologize for the error.